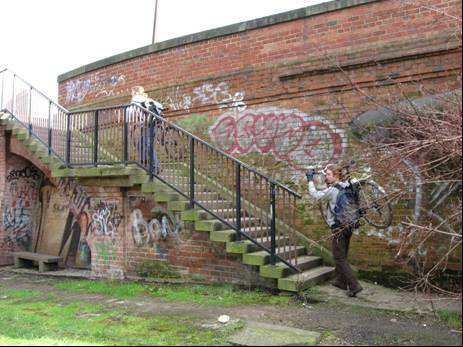 In 2007 the School of Architecture, Landscape and Design at Leeds Metropolitan University was commissioned to prepare a Feasibility Study of the Park Proposals funded by grants from the National Lottery and Leeds City Council. Their initial report on "Movement and Circulation" was published in April 2008. Download a compact A4 version of the initial 2008 report (PDF file 2.4MB). Download a high resolution A3 version of the initial 2008 report (PDF file 13.7MB). More detailed design work continues on the "Riverside Way" through the centre of the valley, and a further draft report was issued in April 2009. Download a medium resolution A4 version of the draft 2009 report (PDF file 7.3 MB). An HTML version of the 2008 Feasibility Study follows. 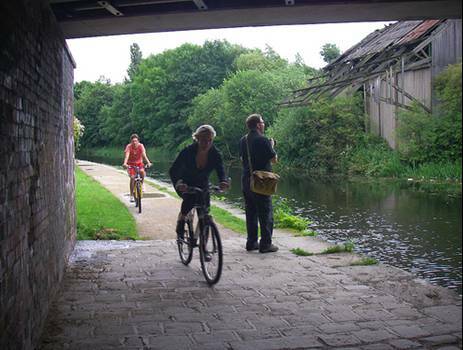 This study has been undertaken by DesignLeeds, the research and practice arm of The Leeds School of Architecture, Landscape and Design on behalf of Kirkstall Valley Park (KVP), a collaborative venture involving many organisations and community partnerships. Alongside Board members particular contributions by Sustrans, Groundwork, BTCV and Leeds Metropolitan University are acknowledged. 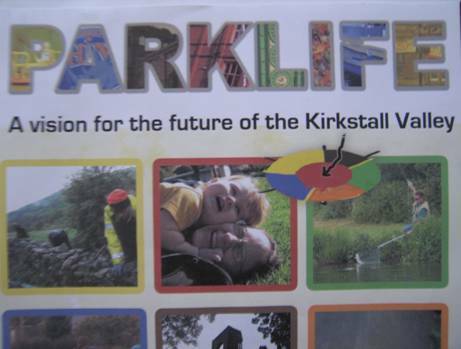 Kirkstall Valley Park is a not for profit company with charitable status that aims to establish a new public park in central Leeds. It forms part of the extensive West Leeds Country Park being established by Leeds City Council. Through partnership with local communities, the Council, educational providers and businesses the establishment of KVP will help realise the dreams of many people over the last thirty years in establishing this vital community resource, Kirkstall Valley Park. 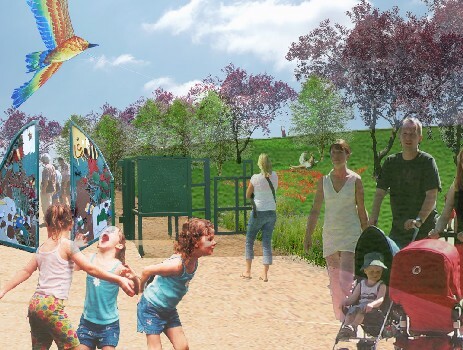 The vision for KVP is the creation of a park which will form a Great Green Heart near the centre of Leeds which will help regeneration and provide accessible green space close to thousands of homes. A Great Network: Movement and Circulation is one section of the proposals illustrated above and is essential for the development of KVP. A Great Place covers Landscape and Built Form and A Great Partnership relates to Development and Community Partnerships. A number of consultation events have taken place and informed the study. 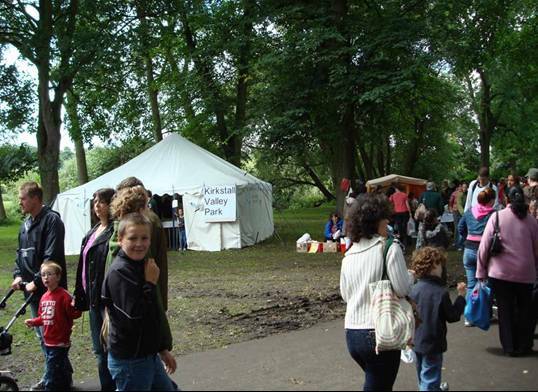 Draft proposals for KVP together with models and art work produced by local school children were exhibited at the Kirkstall Festival in July 2007 and a stakeholder workshop was organised in November 2007. These events were very well attended and generated much interest in KVP, confirming the significance of the proposals and the urgent need to implement them. A Great Network for movement will have a fundamental impact on recreational opportunities, travel to work and on the health and well being of individuals and local communities. 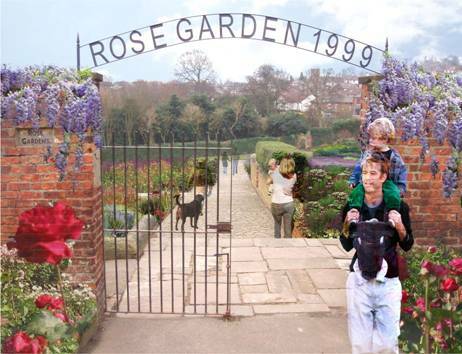 The proposal is to establish a great network of routes for walkers, cyclists and other park users. Routes will run east west along the valley, connecting the city with the countryside and provide cross valley connections into the surrounding communities. The network will comprise major and minor routes which are organised to provide regional and local access as well as paths which connect to features of interest in the park and provide a variety of walks. The system will connect to other forms of transport, bus stops, car parks, railway stations and water bus stops. Irrespective of purpose, movement whether by car, bus, bike or walking should be concerned with experiencing places in an enjoyable and safe manner. Each journey can be unique and respond to the particular qualities and character of the locality and in this way give all year round value. 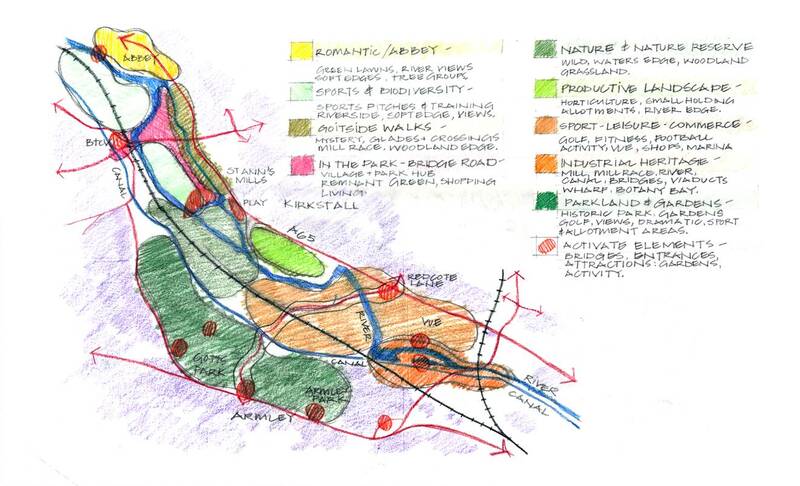 The network of pedestrian and cycle routes in KVP needs to be carefully designed and managed for commuting and leisure. Routes and connections, which link destinations should be safe, coherent, direct and attractive. They should be distinctive, and relate to the particular landscape that they pass through and they should create opportunities that encourage activity. The Kirkstall Valley is one of Leeds’ best kept secrets. Very few people are aware of this substantial area of open space immediately adjacent to the city centre. 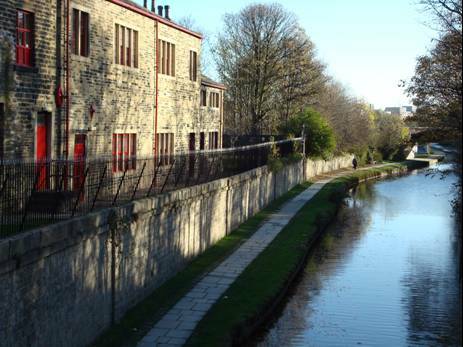 The valley is sandwiched between Armley, Burley and Kirkstall, but physical barriers created by the Leeds -Skipton railway, the River Aire and the Leeds – Liverpool canal make it difficult to explore this part of the city. People either imagine that there is nothing there, or assume that the land was irretrievably damaged by its previous industrial heritage. Nothing could be further from the truth. 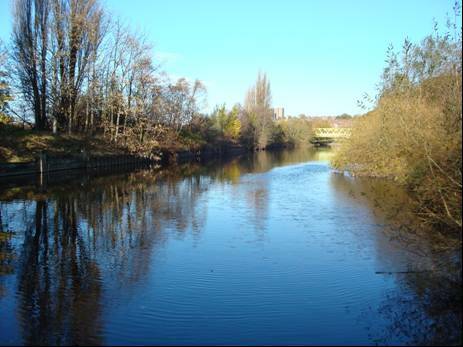 The Kirkstall Valley is rich in nature and rich in cultural heritage and deserves to be enjoyed by the public to a much greater extent than is currently the case. 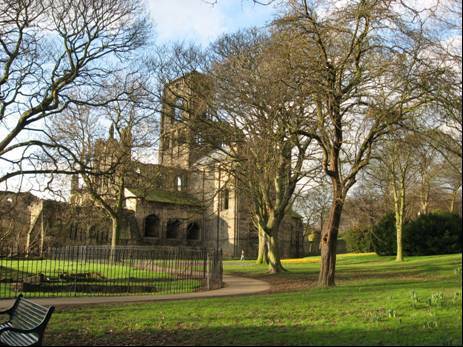 Local history can be traced from the foundation of Kirkstall Abbey in 1152. The monks were among the first to use the river. The weirs at Armley Mills and Kirkstall Abbey date from these times, but during the 18th and 19th centuries the valley became a major centre for the woollen industry, and a complex network of weirs and goits was constructed alongside mills, to supply additional energy. 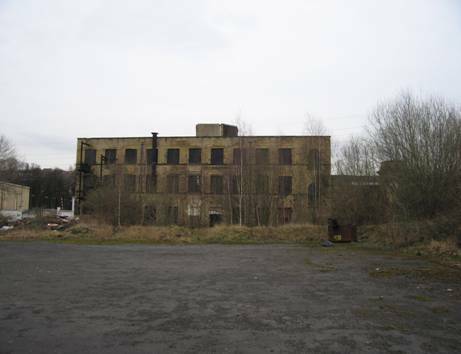 Many of these works survive to the present day including Armley, Burley, and St Ann’s Mills within the vicinity of the Park. Armley Mills -once the world's biggest textile mill is now the home of Leeds Industrial Museum. 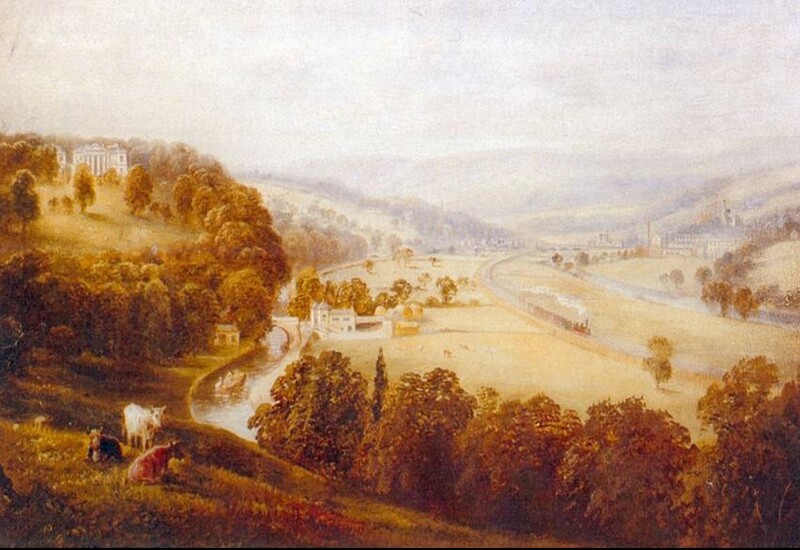 It was once owned by Leeds Industrialist Benjamin Gott, who also commissioned Humphrey Repton to improve and enlarge a mansion nearby and lay out its extensive parkland. 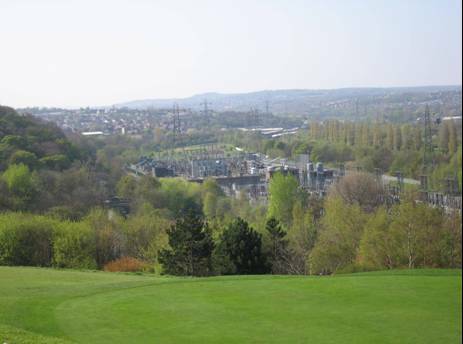 Gott's mansion overlooks the valley and its industrial features and together with the park was acquired by Wade's Charity and leased to Leeds City Council in 1928 in order to establish a public park which now includes a municipal golf course. The Leeds Liverpool Canal was completed in 1816. In contrast to the River Aire, it has largely unpolluted water drawn from various Pennine catchments. This large body of clean, slow moving water is the home to various rare species of freshwater mollusc that resulted in its designation as a Site of Special Scientific Interest in 1984. 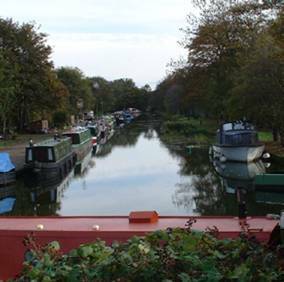 The canal was once used to supply the power station with coal, and the former coal basin and loading bay have been converted into a narrow boat marina. 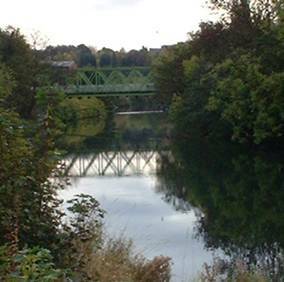 The diverse landscape of the Kirkstall Valley which runs west from the centre of Leeds has a wide range of green spaces combined with a dramatic topography that affords many impressive views. 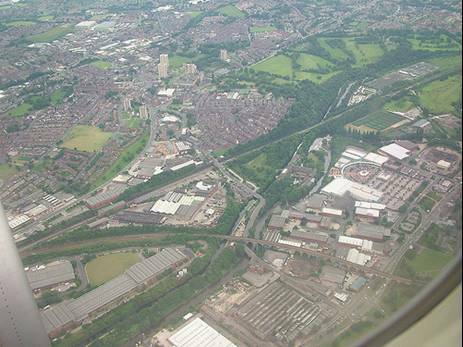 The valley sides accommodate the urban villages of Kirkstall, Armley, Bramley and Burley and major water, rail and road routes run through the valley bottom. A remarkable range of landscape types can be found from woodland and extensive parkland, to small scale walled gardens and sports pitches. The island nature reserve and associated scrub land, contrasts with farmland and the open landscape of small grassy meadows. Open hill sides and incidental stands of trees provide a setting for foot paths, attractive glades and viewing points. Despite these qualities there are many problems. The site is fragmented and there are barriers to movement. Much of the site is neglected and overgrown and although this can be an asset for wildlife it can feel unsafe and hostile for people. Paths and steps are often uneven and there are dangerous vestiges of previous industrial eras such as unprotected high river banks and rusty railings. Inappropriate signage and other crude details detract from the parkland experience. These aspects combined with a few intrusive developments cast a shadow over the otherwise rich and diverse environment. Response to the particularities of these areas is a key part of the Great Network. The outline proposals for the park illustrate a wide range of existing and potential destinations and activities that need to be connected in a variety of ways. 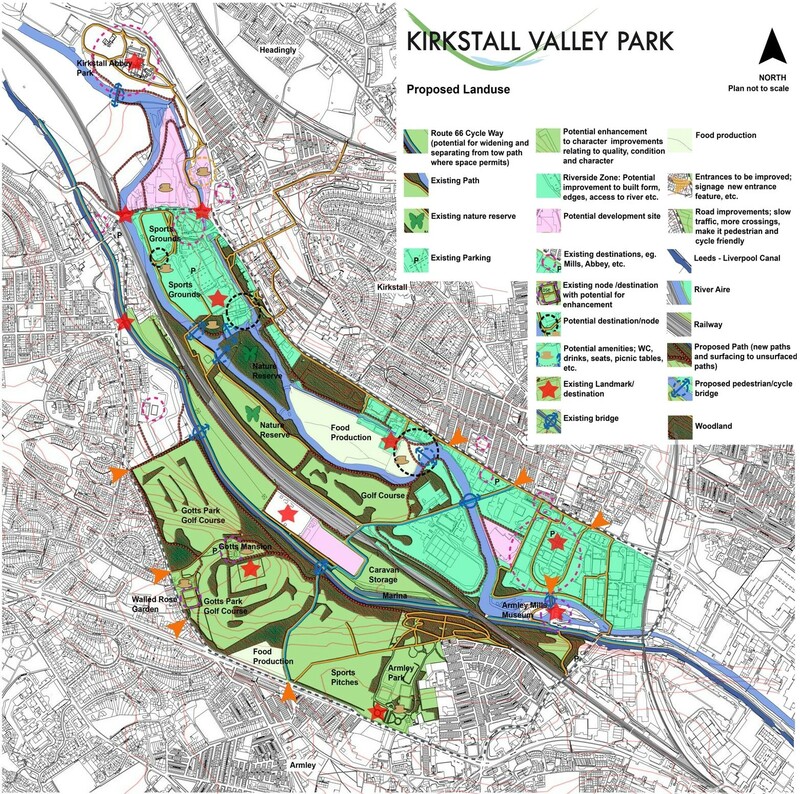 Recognition by Leeds City Council in the 1950’s of the potential of Kirkstall Valley as public open space – commenced land acquisitions. 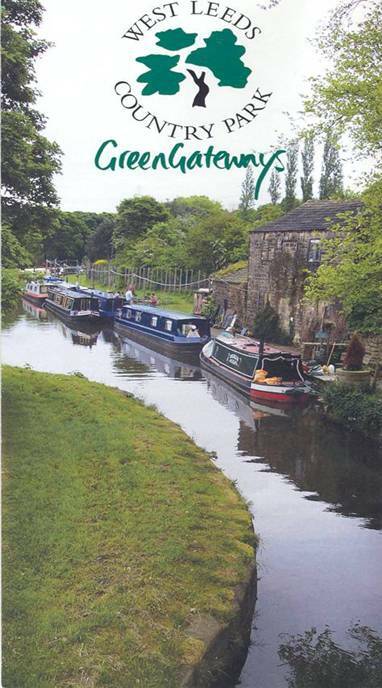 2005-2008 West Leeds District Partnership ‘Strategy for Success’ – identifies as one of its key priorities the development of the Aire Valley and Leeds Liverpool Canal as a green ‘linear link’. West Leeds Country Park and Green Gateways launched in 2005 is an initiative by Leeds City Council with the intention of protecting, improving and publicising the recreational benefits of green space in West Leeds. 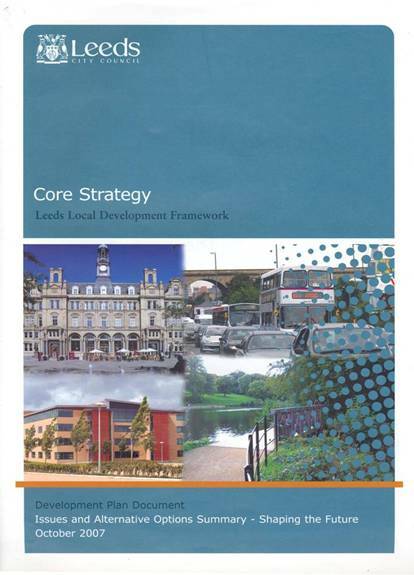 The Leeds Waterfront Strategy published in 2002 by the Leeds Initiative is approved supplementary planning guidance to the Leeds Unitary Development Plan. A network of primary and secondary routes is proposed, to link to City Centre, and access local communities. Direct as possible to facilitate easy and simple movement. Links to other forms of transport e.g. to the bus and railway stations and to car parks. The primary route is to be developed for dual use by pedestrians and cyclists. A cycling network is proposed. A water bus stop, and moorings are identified at Botany Bay, Armley. 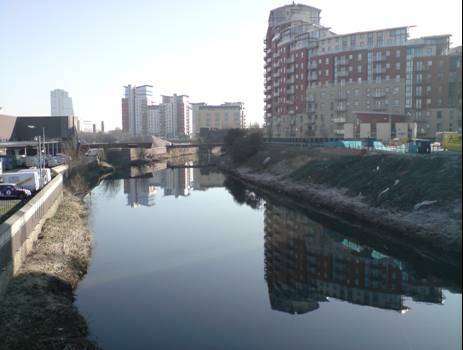 A focal point for water space activity and festivals is identified in Granary Wharfe, south of Leeds railway station. 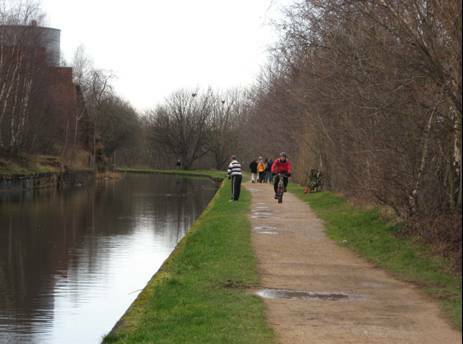 A primary route for pedestrians and cyclists is identified at Armley Mills on the Canal, linking to the Armley and Kirkstall neighbourhoods. A secondary route is identified along the riverside. With a waterside access point at the Vue leisure complex, Cardigan trading Estate, and Botany Bay. The National Cycle Network and other Sustrans’ initiatives – Route 66 part of the Aire Valley Towpath Route runs alongside the Leeds Liverpool Canal through the park and many initiatives and campaigns such as ‘Safe Routes to Schools’ have a direct bearing on the proposed great network. 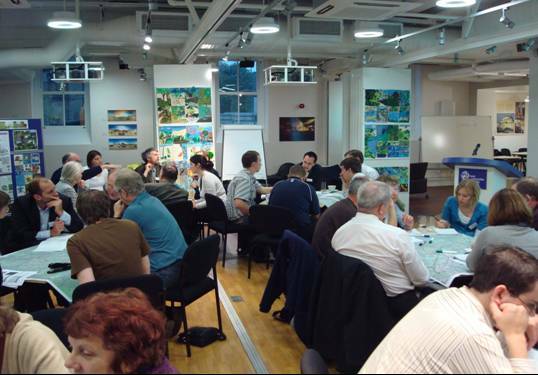 The Leeds Climate Change Strategy -Produced by Leeds Initiative the Strategy articulates a Climate Vision for Leeds and identifies as a key objective making walking and cycling more attractive. 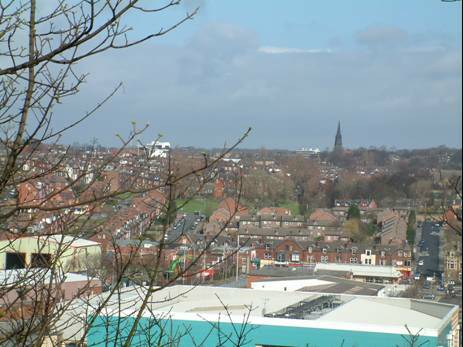 The council wards and urban villages adjacent to KVP include Kirkstall, Burley, Bramley, Armley, Wortley, Headingley, Woodhouse, Holbeck and the City Centre covering a significant proportion of inner city and suburban Leeds. 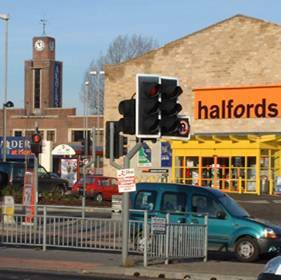 Shops, industry and public facilities such as schools exist within these districts together with two Universities and colleges in close proximity. Some of these neighbouring areas suffer from significant traffic problems, economic disadvantage and a serious shortage of recreational open space. These handicaps are reflected in a wide range of socio­economic indicators. For example school children in central Leeds face ten times the risk of a serious road accident when compared with their counterparts in the outer suburbs. Inner city children need safer places to play and safer access to schools and play facilities. An improved network of movement and circulation will help to address a number of these issues and service existing and new developments in an appropriate way. Strong connections with existing and proposed cycle networks and footpaths are important such as links from residences to the universities. Kirkstall Forge where planning permission has been granted for a development which will accommodate 1385 new homes, in a variety of types sizes and styles as well as 16,518m2 of office space and social facilities. Conservation of the Forge (Grade II listed) is planned which will together with restaurants and a riverside hotel encourage visitors to the area. The BHS/Alders site; a mixed use development which is in a crucial location relative to KVP and depending on the nature of site planning could enhance or detrimentally affect the character of the park and associated routes. The refurbishment of Abbey Mills and St Ann's Mills which need to compliment and add to the qualities of KVP in a positive way. Changes to Mills should include orientation towards the park to make the most of increased activity. Redevelopment of Kirkstall District Centre which will generate more journeys and further traffic congestion which would to an extent be ameliorated by the KVP network. 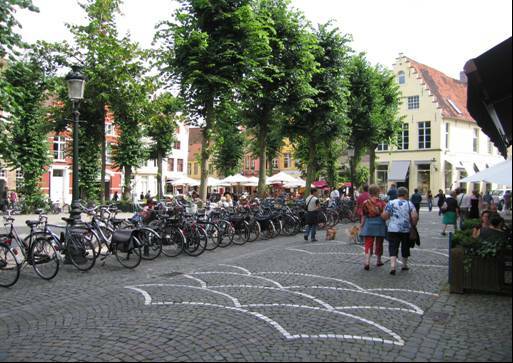 Developments that create pedestrian friendly environments rather than car orientated solutions should be encouraged. 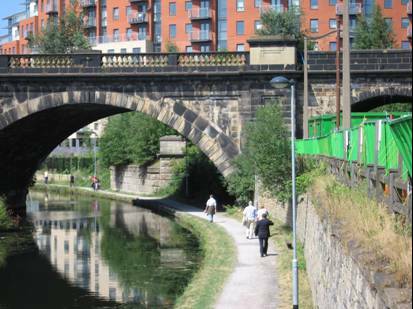 Mixed use developments between Kirkstall Viaduct and Leeds City Centre will have a major impact on KVP and increase the need for an effective network for movement and circulation. New development along the riverside will activate a new linear route and parkway. The Park stretches from the Kirkstall Viaduct to Kirkstall Forge. 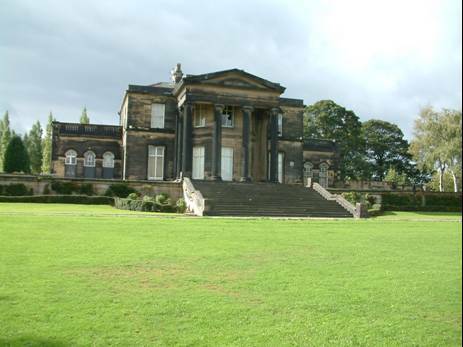 It embraces the existing Armley, Gotts and Kirkstall Abbey Parks and overall it is over 200 hectares in extent. A park in the Kirkstall Valley is not a new idea. 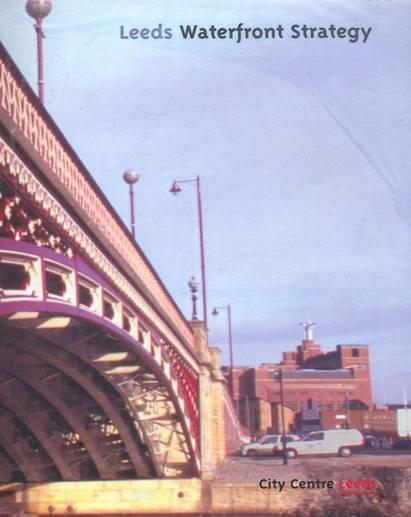 Proposals were included in the Leeds City 1980 Local Plan and in a variety of ways attempts have been made to improve the area since that time. It is only recently that a not for profit company with charitable status has been formed with planning and design now taking place under the auspices of the KVP Board of Directors. The value of well designed green spaces as an integral part of urban regeneration is now widely recognized. In virtually every city worldwide initiatives are underway to improve former industrial sites and develop new environments for 21st century living. 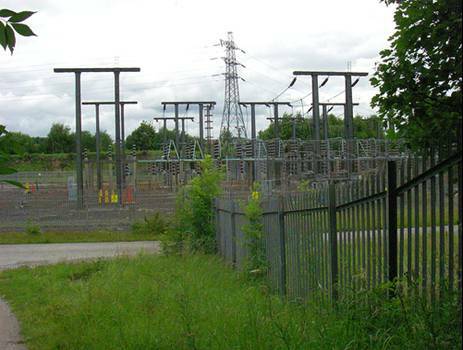 There are a number of notable examples of places where industrial heritage has provided a key aspect of new parks and where local communities have participated in the development and management of them. 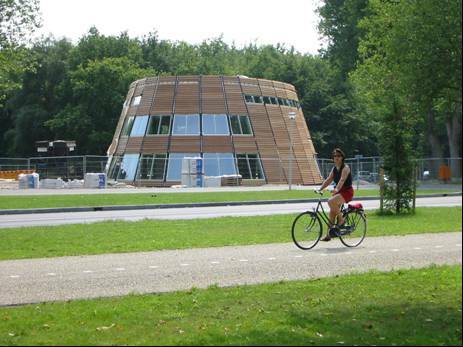 Kirkstall Valley Park is well placed to emulate these examples and contribute to sustainable city living. The plan has been developed to pull together the left over landscapes, isolated spaces and existing parks to create an accessible larger park. A space with longer edges makes nature accessible to as many people as possible. Spatial continuity permits continuous corridors that are generally accepted as being beneficial for wildlife. Core sites can be protected and human activity can be planned through careful design. Retaining the area in a green and generally natural state is good for long-term sustainability aims in terms of flooding, for the area and the region. Connect people with the Park, the City and the Countryside. 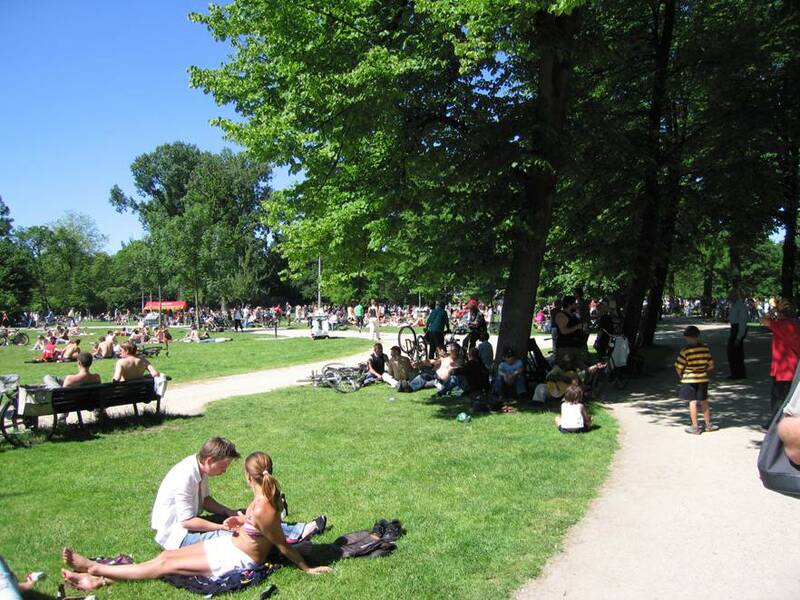 Activate the Park through movement: pedestrian, bicycle etc. connecting people to nature and their local environments. Connect people to the varied park destinations, e.g. Kirkstall Abbey, Nature reserve and to activities e.g. Rugby, fishing etc. Connect people to work places, and ease access to adjacent communities. Create safer places and routes. The new park identifies places to go, things to do, places to be, that are accessible and relevant locally and beyond. A range of destinations already exist which are presently poorly connected, Through providing good access and promotional and interpretive material the park can engage and reach a larger number of people. A range of activities, passive and active pursuits can be publicised for daily routines and occasional events and extended. Schools and groups can visit the Park, at a new centre for nature study, or e.g. on a new community boat. Nature is now a marketing and branding feature for new housing and development. Sensitive and responsive branding should encourage development that delivers a sensitive and landscape led solutions. Values on the sale and re-sale rise on properties adjacent to good green spaces and Parks, as will tax revenue. As buildings and infrastructure reach the end of their useful lives, new sustainable development can take its place, capitalising on the locations of waterfront and parkland. A new riverside route with enormous potential for access for pedestrians and bicycles etc. can be achieved. Pocket Parks, small spaces on the edge of the park can improve the image of the local environment and invite access into the wider park. 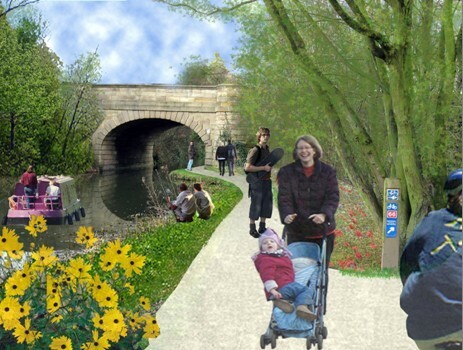 Features which have stagnated in existing Parks, Gotts, Armely and Kirkstall abbey Park can be revitalised e.g. Mansion Terrace and Rose Garden at Gotts Park. Spatially the stucture will build upon enriching existing features and characters: e.g. Parkland, Nature Reserve etc. A programme for daily routines and occasional events. Protection and preservation: Involvement and support by local people is crucial to ensure the green heart is guarded as a valuable asset and site design is relevant to local needs. Restoration and Conservation of elements of the historic parkland, opening views, restoring structure and enhancing access. Management of the park for public safety and enjoyment. The quality and character are enhanced: removal of graffiti, clearing vegetation is essential to build respect for the park. 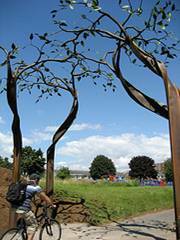 A community facility would bring people together and engage them in a natural setting. Possibly a Community Boat, it could have multi-functional uses for all ages, this could be a canal boat, e.g. 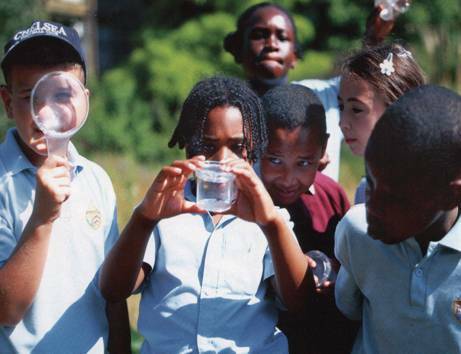 educating children about water and nature issues. Existing problems and opportunities for walkers and cyclists create a good case for improvement and indicate the nature of changes required. Erosion of the intrinsic green valley character of the area by insensitive road and built development. Very busy and unattractive road corridors e.g. A65 Kirkstall Road, sever the communities from the Park and they are intimidating to both pedestrians and cyclists. Cyclists sometimes illegally cycle on the paths. Overgrown vegetation and unattractive surroundings in places making people feel unsafe and unsure about travelling along routes. Insensitive development along the A65 and riverside. Fine views are obscured, access prevented, unattractive and inactive edges to buildings. Linear routes, disconnected from destinations limit the scope and experience of walking and cycling. Access to the current system of routes is poor and needs to be improved. Poor provision for walkers and cyclists in Gotts Park, unsurfaced routes marginalised to the edges. Flooding, although occasional along the valley and river floodplain, will require suitable surfacing. Unfriendly signage to both public and private areas discourages use of routes and spaces. The flat valley bottom, provides unrivalled physically comfortable walking and cycling conditions and provides a real opportunity to encourage a modal shift in movement from car to walking and cycling. Establish routes that allow contact with nature: green valley environment, it’s river and canal and mill streams. 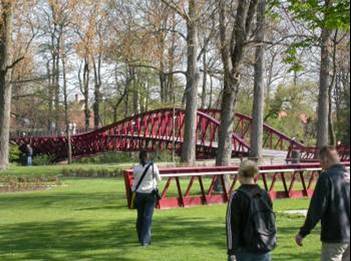 Attract both commuters and leisure cyclists and walkers. 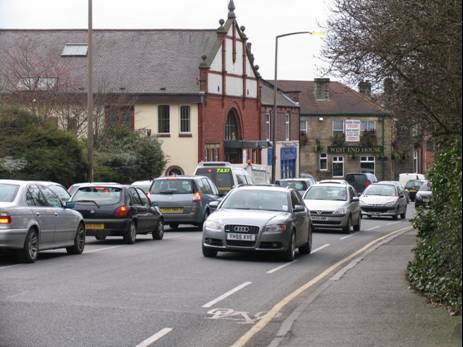 Create a traffic free attractive route connecting the city centre to surrounding communities and the countryside. Establish trails and features to encourage play and exercise. Connecting cultural destinations and access to activities. Connect the existing routes that allow only linear movement, to a wider network to enable greater choice and satisfaction. Improve popular routes to enable movement, and reduce conflict of use. Using good design to enhance and invite use, by creating calmer pedestrian and cycle friendly streets, entrances to routes, and signage for orientation. Promote good sustainable development which capitalises on the green valley and waterside locations. 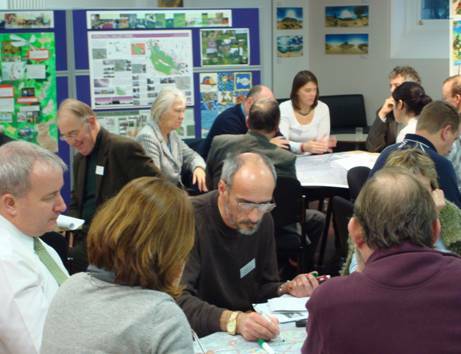 Connect people to places: The network aims to connect people and the adjacent communities to each other, to the countryside and to the city centre. The routes will improve existing pathways and establish new connections where access has not been possible previously. Through the network access to local places will be improved as well as connections to wider destinations, extending opportunities for walking, cycling and other forms of movement. Connections to bus stops, stations and car parks are key to a successful network. 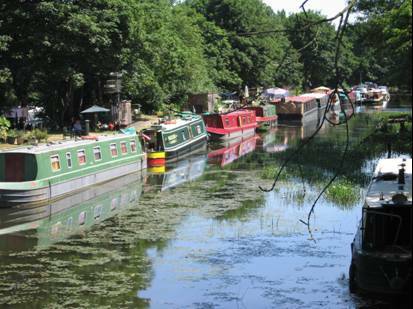 Protect, enhance and restore: All new routes should aim to protect, enhance and restore the green valley and village/urban characteristics of its locale, with the aim of connecting people with their environment, rather that isolating them. The routes should reflect the varying character of the valley from the urban centre of the city through the leafy suburbs to countryside. They should be sensitive to historic locations, and use suitable materials to reflect that character. Development should follow sustainable urban design principles. Capitalise on a new sustainable future: The valley has the potential to contribute to and and take advantage of change. Through natural processes, and environmental restoration, the ravages of the industrial past are no longer evident. This post industrial landscape now has the potential to provide the setting for good sustainable community living, informed by good and sensitive design, with opportunities for extending the network. Where feasible sharing of facilities such as car parking should take place to maximise value. The existing dispersed car parking around the edges of KVP should be maintained rather than creating additional large car parks. Actively manage the environment: The routes will need to be managed: to prevent them being overgrown, to clear graffiti, to repair damage, to restore views, to enable good natural surveillance and to make them safe. For each route there needs to be detailed considerations regarding: surfacing, path widths, lighting, connections, legibility and signage, seating, space for other users (e.g. anglers) associated art and environmental works. 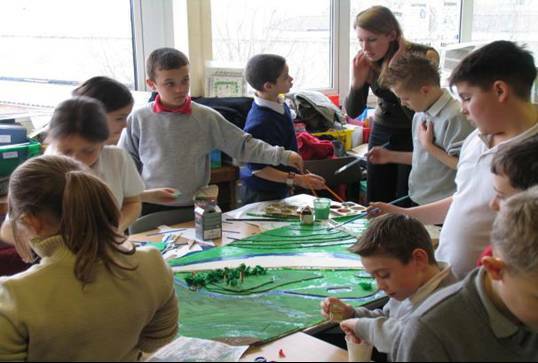 The network addresses the problems and opportunities through establishing a new principal route (The Riverside Way) and a number of contributory routes, which add to the connectivity, and capacity of the system. Local loops also connect spaces and places. Connect city to countryside, and access to local communities, as directly as possible and to facilitate ease of movement for commuting and leisure and to destinations e.g. Kirkstall Abbey to Gotts Park and Armley and the city centre. Link to other forms of transport: buses, car parks, and railway stations. The route is to be developed for dual use by pedestrians and cyclists. To have the potential to connect and extend to areas currently inaccessible but have enormous potential through re-development e.g. Leeds Riverside and Kirkstall Village. Connect to the principal Riverside Way route and link to wider regional and national routes. Provide alternative routes and environments for walking and cycling for leisure and recreation. 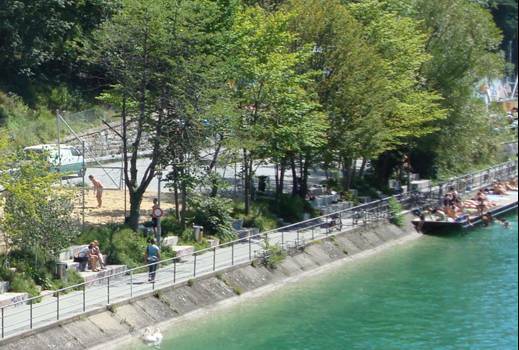 Connect communities with their assets: parks, cultural legacy (mills), canal and riverside. Provide local people with opportunities to access the network. Click here to see a detailed report on the individual routes. 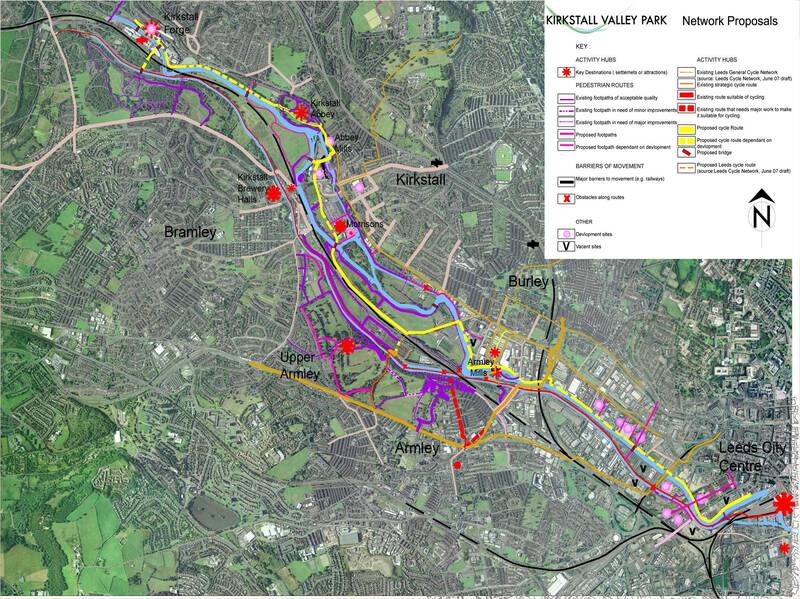 Plans for movement and circulation must be linked to the overall development of Kirkstall Valley Park. To successfully implement the vision for a Green Heart and a Great Network there will need to be a sustained level of consciousness about the significance of these proposals. Parks and routes through them are a vital resource for the health and well being of people and their communities. The project will need to be funded from a variety of sources associated with new developments and a wide range of initiatives. The Riverside Way is of particular importance and its establishment will act as a catalyst for the establishment of the broader network. It will provide for and encourage access into the park and to other destinations such as the city centre. In this way the necessary shift from using cars to other greener forms of transport, including cycling and walking, will be assisted. English Heritage, Yorkshire Forward, Leeds City Council, Development Projects (Directly and through Section 106 agreements), Natural England, Leeds Initiative, Creative partnerships, Local Enterprise. DesignLeeds Project Team: Fleure Gething, Luke Mitchell, Emma Oldroyd, Chris Royffe, Debbie Samuel.